Block magazine has arrived. Come in and get your copy. Just a note, if you do not wish to receive this magazine any more, please let us know. We had several issues that were not picked up last time. Thanks! Ann Hazelwood's fourth novel in the East Perry County Series is in! We can't wait to begin this good read. It is such an enjoyable series. If you love Debbie Macomber's books, you will love Ann Hazelwood! Well, actually in our unbiased opinion, we like this better than Debbie Macomber's books because it is written about quilters! Deborah is Block #16. This one is fun and easy! Just a reminder, if you have missed any of the weeks, you can preorder a CD with the whole pattern on it for $9.99. The price will go up to the regular price of $19.99 after the series is finished. Due to the nature of this block series, we are not allowed to e-mail any directions; however, the whole series will always be on our Facebook page HERE. The copy is not as clear on Facebook because we cannot put on a PDF, but it is still an option! Woohoo! To get your FREE copy of Deborah, CLICK HERE! Oh, another Bargello class has been set for May 25 from 10 - 4. Cost is $20. Call 815-879-3739 for details! 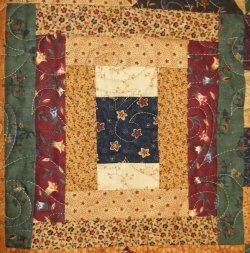 Sign up to make a legacy quilt today! F.Y.I. there is NO class preparation to make this quilt. We know, it is hard to believe, but that is the truth!